Experience picking strawberries whatever the weather. Uonuma's first strawberry picking experience farm. 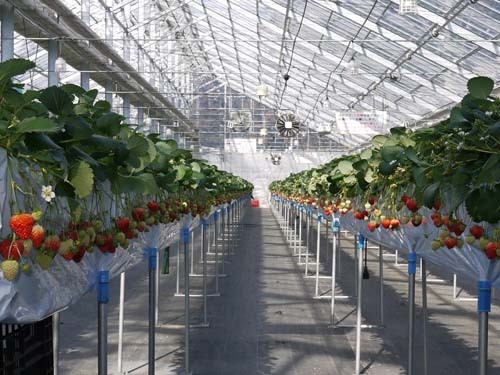 These strawberries, called "Echigo Hime", are found only in Niigata Prefecture. They are known for their fragrance, low acidity and juiciness. The suggested season is spring and winter. Get on Daigenta Canyon Line [or Yomogibashi Line] buses from Echigo Yuzawa Station.